The college’s Emergency Response Team and Office of Campus Safety will conduct the training drill in collaboration with the Amherst Police Department, Snyder Fire Department, and Twin City Ambulance. 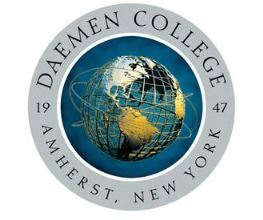 “The safety and welfare of our campus community is our highest priority, and this training drill will be important to assessing our emergency response and readiness should an active shooter incident occur at our college,” said Daemen President Gary A. Olson. Nearly 100 members of the Daemen community and law enforcement personnel will take on roles in the active shooter scenario, which has been scheduled during a two-day fall break when classes are not in session. Designed to be as realistic as possible, the drill will take place in real-time and entail implementing Daemen’s emergency operations plan and campus notification system. To avoid any confusion, the campus community has been notified of the drill ahead of time. Due to the sensitive nature of the activities, media will be permitted only in a campus staging area outside the training drill location.